Having appeared countless times on the silver screen, you might almost feel like you know New York City before ever having visited. Yet, no matter how familiar with the city you become, you’ll never feel like you’d seen it all. Discover just some of the ways you can immerse yourself in one of the cultural, artistic and culinary capitals of the world. New York is one of the world’s most iconic cities and should be on everyone’s to-do list of places to visit. 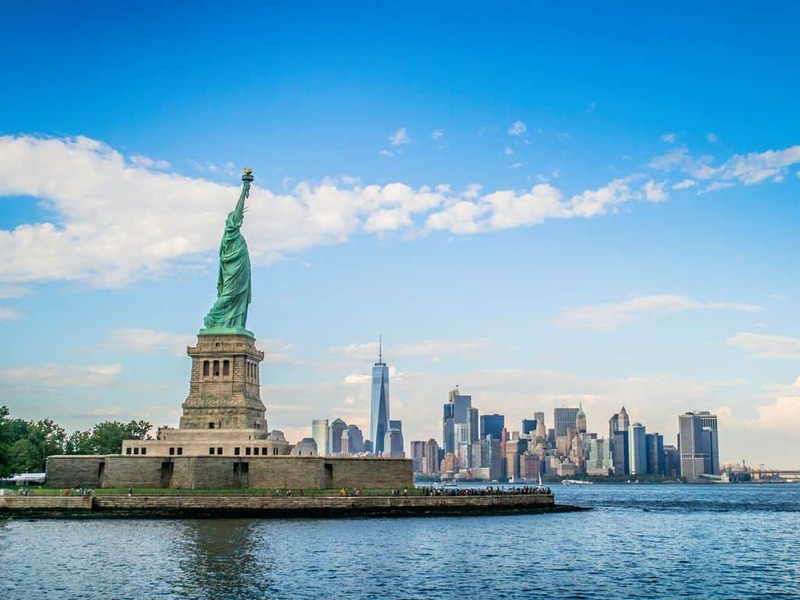 Packed full of landmarks and attractions that are recognised the world over – from the Empire State Building to the Statue of Liberty – there are an overwhelming number of things to do in New York. The city is situated at the mouth of the Hudson River on one of the world’s largest natural harbours. The five boroughs of New York City – Brooklyn, Queens, Manhattan, The Bronx and Staten Island – span New York Bay and are connected by a number of bridges, including the famous Brooklyn Bridge. Manhattan, often referred to by locals as The City, is where you’ll find most of New York’s main attractions. As you might expect, at its centre is Central Park, around which skyscrapers tower. Manhattan is also home to some of the greatest museums and cultural attractions in the world, including the Metropolitan Museum of Art, the Lincoln Center and the American Museum of Natural History. And in Downtown Manhattan you can visit the heart-wrenching 9/11 Memorial, a moving experience you’ll never forget. The Statue of Liberty is the symbol of New York and arguably of the United States as a whole. She stands proudly on Liberty Island in New York Harbor and, to visit her up close, make sure you secure tickets in advance. However, for an equally spectacular view of the Statue herself and of the instantly recognisable Manhattan skyline, take the Staten Island Ferry. Ferries run every half hour and this historic journey is free of charge. New York holidaymakers are spoilt for choice with things to do, places to go, fine dining experiences, and countless other city must dos. Here is our nifty city break guide that will set you well on your way to creating a truly memorable New York city break. 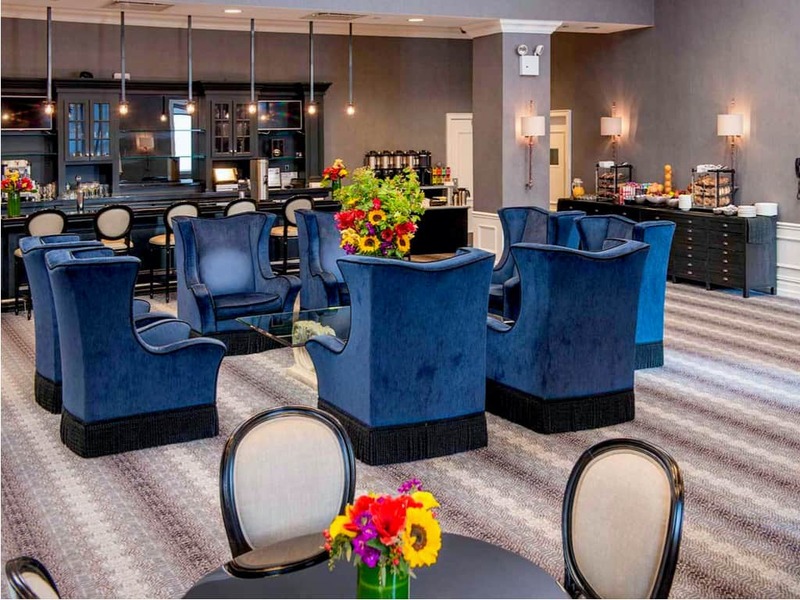 Situated in the heart of Manhattan, this residence-style boutique hotel is conveniently located for exploring the world-renowned bright lights of New York, being in walking distance of almost all the main sights and attractions. As well as being just a stone’s throw from Central Park, the hotel is just minutes from Broadway, half a mile from Times Square and less than a mile to the Rockefeller Center. The hotel’s private club lounge is open to all guests and offers breathtaking views. Sit down to a quiet breakfast in this wonderfully decadent space or stop by in the evenings for a carefully crafted cocktail, when it transforms into a more intimate, almost moody, space. While ensuring the highest levels of luxury, the hotel staff will do their utmost to provide you with all the conveniences of home. The concierge is available every day for anything you might need, whether that be dining or theatre recommendations and reservations, or a nearby post office or dry cleaners. What’s more, as well as a state-of-the-art fitness centre, the hotel has computers, complimentary Wi-Fi and faxing, copying and printing services available to all guests. A variety of spacious family-friendly suites are available, each furnished beautifully and providing first-class amenities. 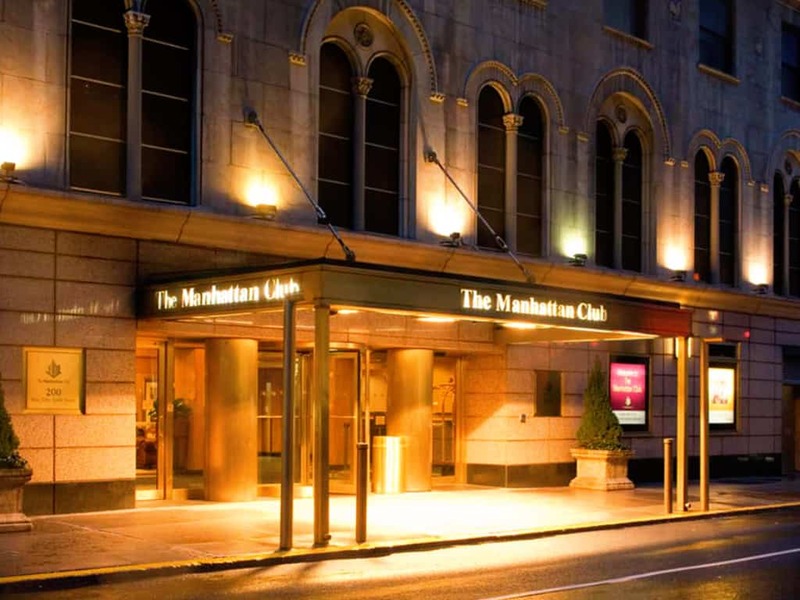 The Manhattan Club is the perfect residence to experience the pace of the Big Apple by day and the city that never sleeps by night. 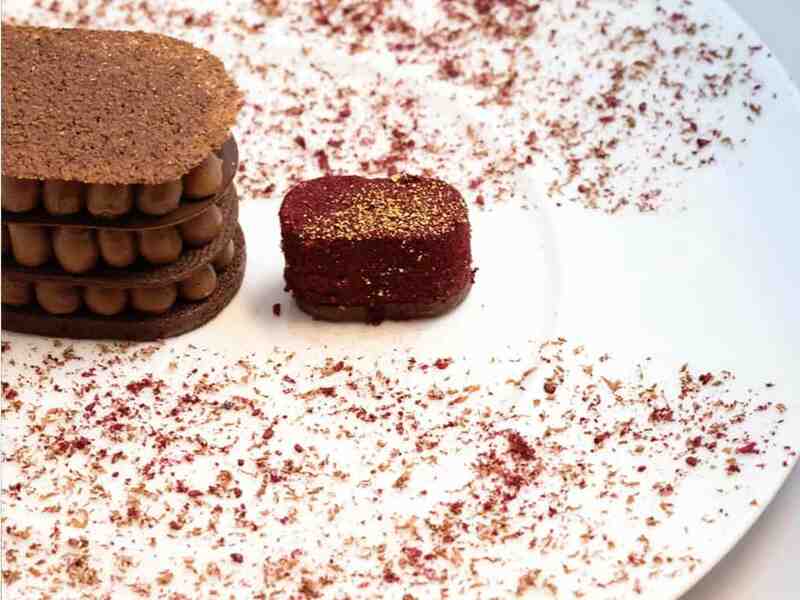 Fancy A Sumptuous Slice Of The Big Apple? Azure X can enhance your New York city break to the next level of luxury all year round. 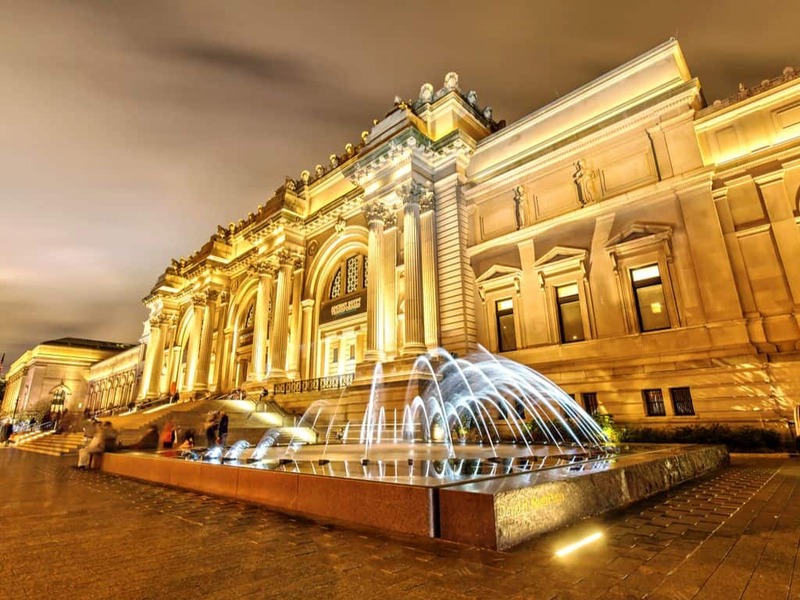 One of the most visited museums in the world, the Metropolitan Museum of Art – colloquially known as The Met – has a staggering array of art on display spanning 5,000 years of history. This magnificent building situated on the eastern edge of Central Park houses artworks from all cultures and time periods. Discover ancient Egyptian artefacts, extensive collections of African and Islamic art, works by almost every European master you can think of, and thought-provoking modern art, all under one roof. If you’ve only got time for one museum during your visit, this certainly has to be top of the list. 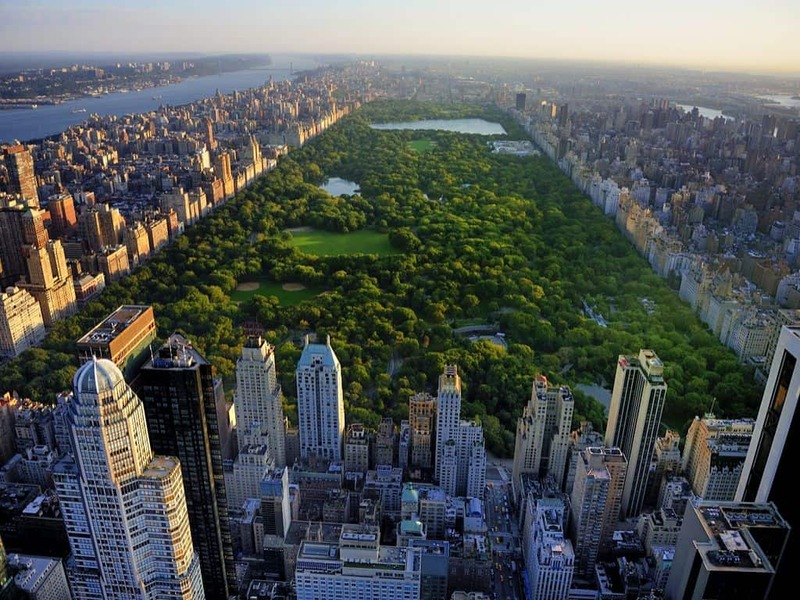 An iconic landmark of New York City, Central Park is a world-class urban park covering a staggering 843 acres in the centre of Manhattan. 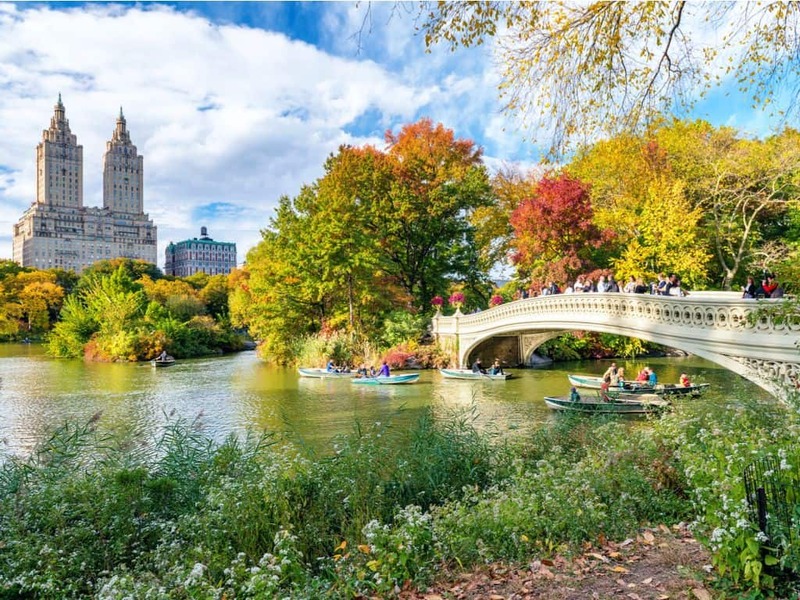 It can be difficult to know what to see or where to start in Central Park, so a bicycle guided tour is a great way to see all of the main sights. But, if you’re just after a little peace and quiet away from the bustling city, the park offers miles of paths for afternoon strolls and over 9,000 benches on which to rest your weary feet. What’s more, the park even features its own theatre, zoo and boating lake, among many other attractions. 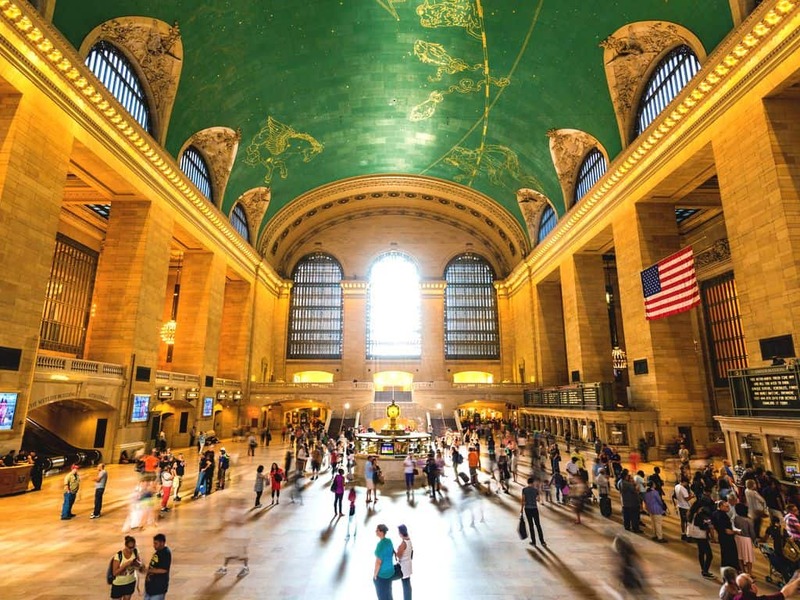 Grand Central Terminal is another of New York’s historic landmarks. Its staggering central hall causes visitors and locals alike to pause in wonder. Although it is the largest train station in the world, the terminal is more than just a transportation hub. With 60 shops, 35 eateries and various events held every year, there’s more to draw you here than just its beauty. And, while you’re there, you mustn’t miss the famous ‘whispering wall’. Located near the Oyster Bar, the gallery’s domed ceiling creates an amazing sound effect: whisper into opposite corners of the arch and hear your partner’s voice as if they were stood right next to you! A two Michelin-star restaurant offering contemporary French cuisine, DANIEL is housed in the former Mayfair Hotel on Park Avenue. As you arrive, you’re greeted by a stylish façade and, pushing through the revolving door, you realise you’re somewhere special. 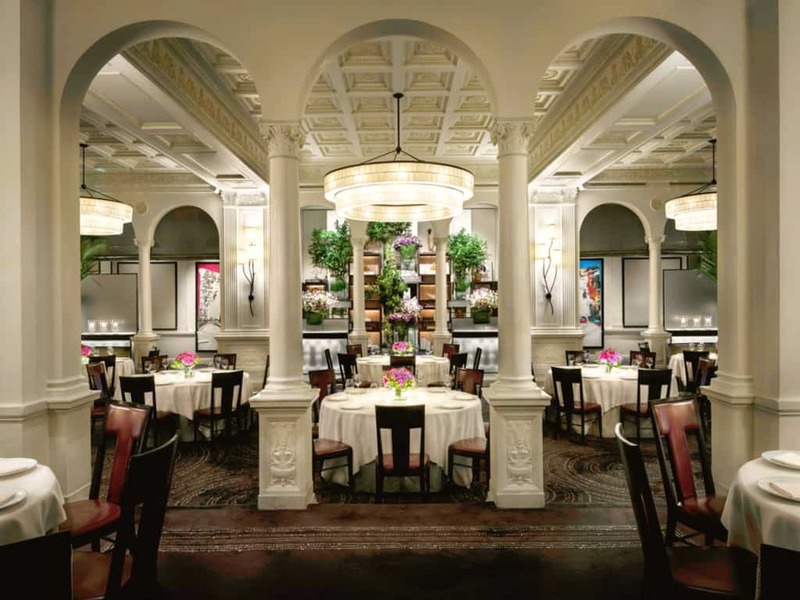 The main dining room is dazzlingly elegant, with its tall coffered ceiling, neoclassical arches and custom chandeliers. Yet the personable service ensures the grandeur never becomes stifling. As well as outstanding food that you’ll not forget in a long time, the restaurant is famed for its world-class wine list. What’s more, the Bar at DANIEL offers a more intimate space where you can enjoy fabulously theatrical cocktails. If you’re looking for a once in a lifetime experience, DANIEL has several private dining rooms, including the Skybox. This glass-walled space for up to four guests overlooks the DANIEL kitchen and offers a truly unique dining experience. If you’re looking for a hidden New York gem that has the Midas touch, then you could do worse than the Trinity Place Vault Bar. 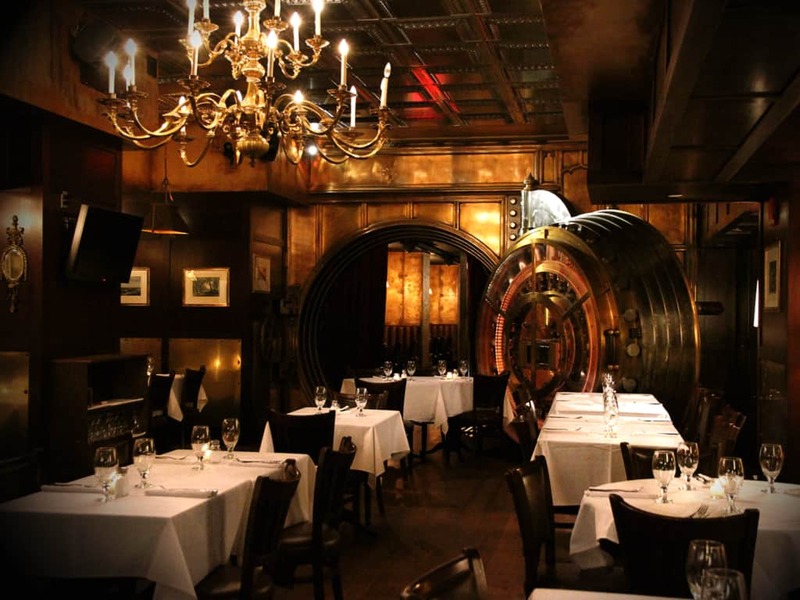 This resplendent bar and restaurant is housed inside an actual turn-of-the-century vault located underneath New York’s original twin towers – two gothic-styled skyscrapers built on 115 Broadway. Originally advertised as the largest and strongest vault in the world, it was commissioned by one of the city’s most famed philanthropists, Andrew Carnegie. Once you walk through the golden round vault door, you’re welcomed into a warm cosy interior awash in rich mahogany and brass hues. Add a little Old World splendour to a romantic New York evening and indulge in exquisite cocktails and a truly mouth-watering menu. No matter how you spend your New York holidays – whether taking in the dazzling lights of Broadway or the city’s many spectacular sights, shopping till you drop on 5th Avenue or delighting in the exquisite culinary experiences available – Azure X can elevate your city break to the next level of luxury.